How I go started: My Dad got me a JR50 when I was 4 and I raced it just before I turned 5. Since then it has just taken off! Bio: Hey this is Taylor Robert. 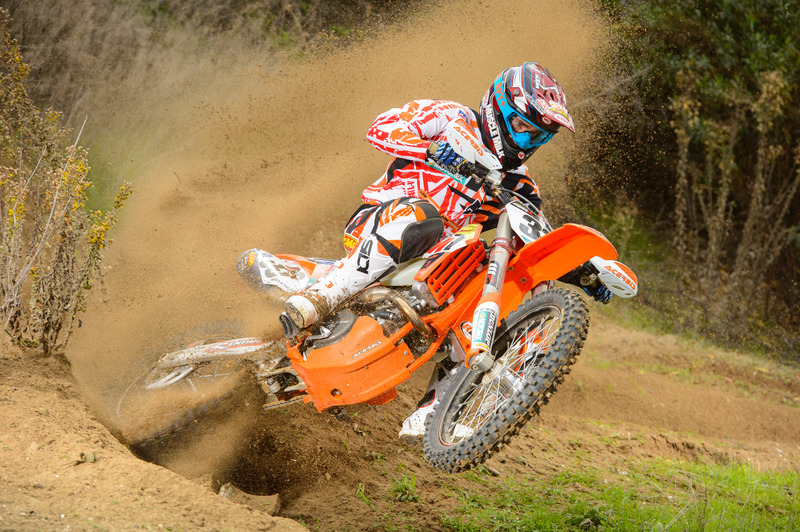 I race off-road for FMF KTM Factory racing. I started racing dirt bikes when I was 4 years old and stuck with racing motocross until I was 15. I raced all the amateur nationals as a kid. I was never the fastest kid on the motocross track but I got better every year until I was consistently a top 5 guy in my class. When I was 15 I fractured a couple of vertebrae at an amateur national, and this was kind of turning point in my career. At the time I was getting somewhat burnt out with motocross and my dad was racing the WORCS series with a few of his buddies. I decided in 2006 that I would try the whole series and within a year of racing WORCS I already had more support than I ever had racing motocross. By 2008 I had won a couple championships in the “A” class and I won a championship in the Pro2 class. I also did my first pro race in 2008 and go on the podium in my first try. 2009 Was my first full year as a Pro and I was able to win 1 race and come in 4th in the points. I kept getting better and more consistent every year and won my first pro championship in 2012. Around this time I started racing a ton of different races around the world including X games, Endurocross, ISDE, Baja, Beach Races in Argentina, and select extreme enduro’s. This brings me to where I am currently in my life. 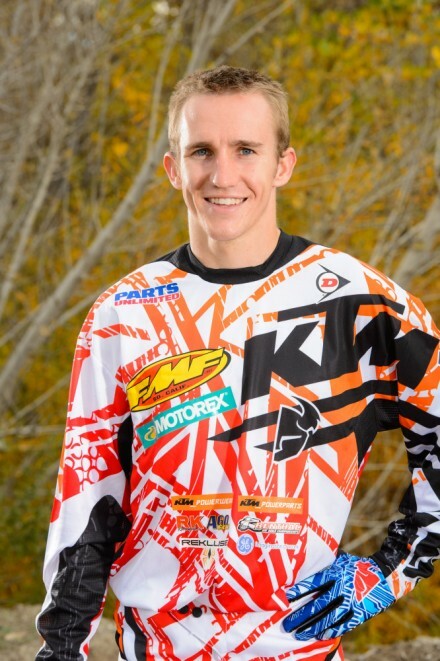 I have now raced ISDE 3 times, I have 3 gold medals from ISDE and I have been the top American the last 2 years. I have competed in 6 different X Games and I won a gold medal last year in Germany. 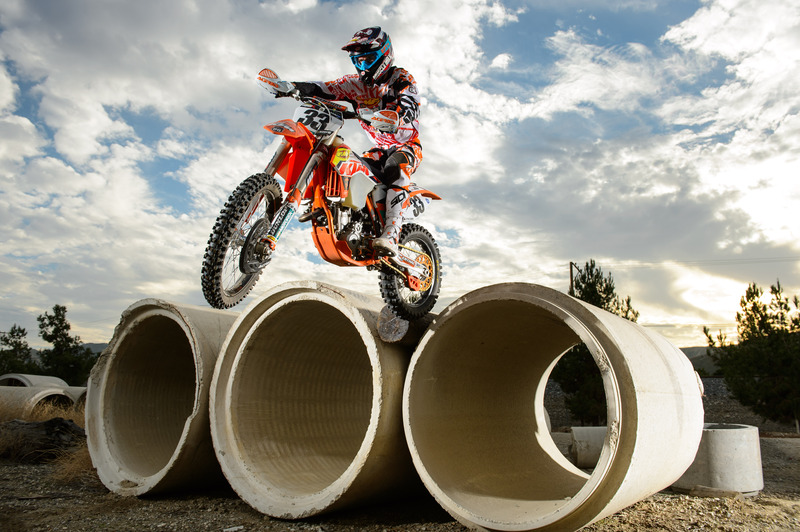 I am also a top contender in the Endurocross series and I am really pushing to win my first endurocross championship. In 2014 I will also compete in Erzberg for the first time, so I am looking forward to racing the largest extreme enduro in the world.